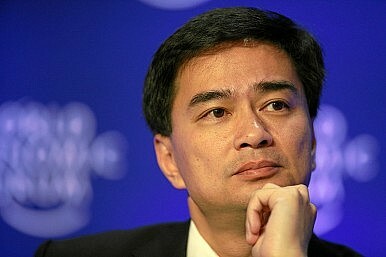 Thai Prime Minister Abhisit Vejjajiva surprised many last month when he admitted he hadn’t given up British citizenship. It was always public knowledge that Thai Prime Minister Abhisit Vejjajiva had had dual Thai and British citizenship since he was born in Newcastle, England and studied in Eton and Oxford before finally returning to work and live in Bangkok. But everybody had simply assumed he’d renounced his British citizenship long ago, especially since becoming a public official in 1992. ‘…You ask have I ever formally renounced my British citizenship, I admit I have not renounced my British citizenship because it is understood legally that if the nationality laws are conflicting, the Thai law must be used. The prime minister’s dual citizenship wasn't a huge issue in the past since it doesn’t make him ineligible to run for public office. Besides, Thailand’s Nationality Act clearly states that a person is a Thai citizen as long as he is born to a father or a mother of Thai nationality, whether within or outside the Thai Kingdom. However, as a British national, Abhisit can be brought to trial for allegedly committing crimes against humanity. And now that he’s openly admitted his British citizenship, the opposition is expected to actively pursue its case against the Thai leader. It was the opposition who first questioned Abhisit’s citizenship because they intend to bring him to the International Criminal Court over the violent dispersal of anti-government Red Shirt protests last year, which resulted in dozens of deaths and hundreds of injuries. Thailand hasn't yet ratified the ICC Statute, but the United Kingdom has been a signatory of the treaty since 2001. There’s no doubt Abhisit’s forced admission of his British citizenship will likely continue to be exploited by his enemies, who want to dominate this year’s elections. But at least he can rest assured that if his government is ousted in the future, or if his party loses in the polls, he can always leave Thailand and reside in Britain.